Recently, our dye group worked with the common New Zealand lichen Sticta coronata; unlike many lichens, this species is relatively quick-growing and widespread and so its harvest poses less of a threat to existing populations. Apparently it yields a wide range of colours from purples, pinks and browns to yellows and gold, depending on the pH of the dyebath. We only made two dyebaths, one with tapwater and the other with tapwater plus a capful of ammonia. I ended up with soft purple and pink. I’d like to play around with it, lowering the pH with vinegar to see what that produces… I’m guessing it would take the colour towards the golds and greens. Anyone know? 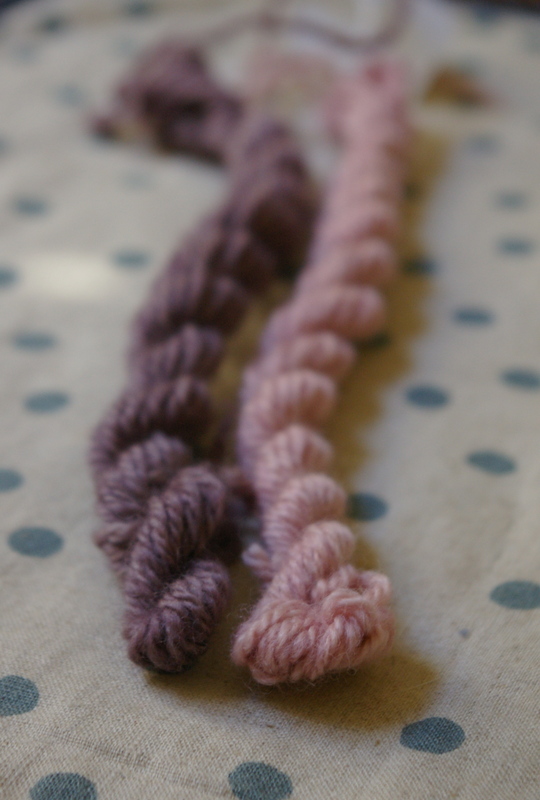 This entry was posted in dyeing, knitting and yarn, plants and tagged dyeing with sticta coronata, lichen, natural dyeing, plant dyeing, yarn on June 26, 2013 by admin.